Data Type : Define the type of field for the application. When it is defined as a YouTube, it allows to display a video from youtube on the field. 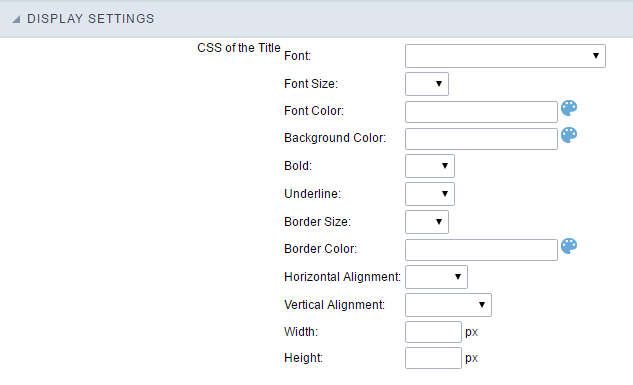 Watermark : Create a placeholder for the selected field. Amount of characters : Define the amount of characters allowed for the field. 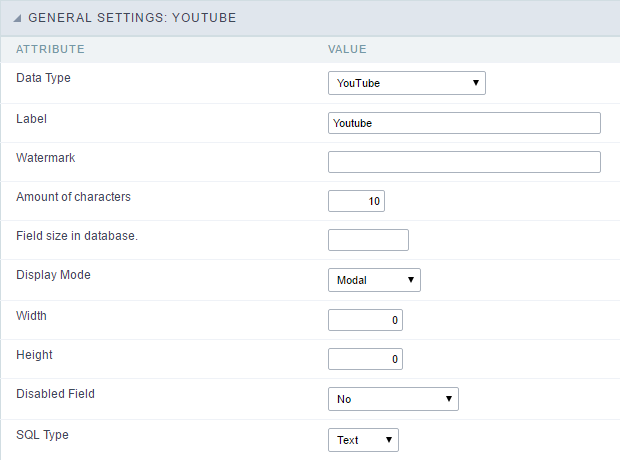 Display Mode : Defines how the you video will display in the application. Width : Width of the video in pixels. Height : Height of the video in pixels.